 IDEAS SPREAD INC is an independent academic publisher, dedicated to presenting and disseminating academic viewpoints of academics and researchers from around the world. All our journals are available in electronic form in conjunction with their print editions. 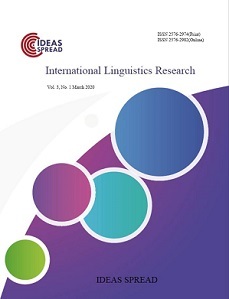 All journals are available for free download online. 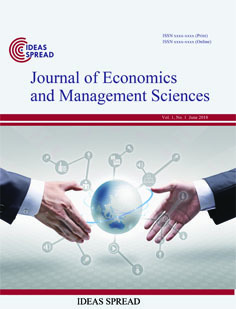 Journal of Economics and Management Sciences (JEMS) is an international, double-blind peer-reviewed, open-access journal published by IDEAS SPREAD INC. The journal is published in both print and online versions. The online version is free access and download. The journal focuses on the following topics: Corporate Ggovernance, Human Resource Management, Strategic Management, Entrepreneurship, Marketing, E-business, Services, Information Technology Management, Production & Operations Management, Financial Management, Decision Analysis, Management Research Methods and Managerial Economics, etc. 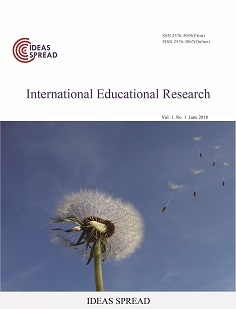 International Educational Research (IER) is an international, double-blind peer-reviewed, open-access journal, which is semiannual published by IDEAS SPREAD INC in both print and online versions. The online version is free to access and download. The journal publishes original research papers, case reports, and review articles. The journal encourages submission in but not limited to subjects of Education method, education policy and education development; Educational technology and educational psychology; Special education and cross-cultural education; Educational leadership, educational administration and educational evaluation; Training, teaching and learning, Language education. 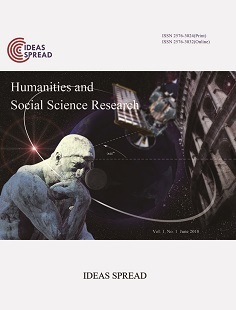 Humanities and Social Science Research (HSSR) is an international, double-blind peer-reviewed, open-access journal published by IDEAS SPREAD INC. The journal focuses on the following topics: Anthropology, Sociology, Politics, Culture, Philosophy, Economics, Education, Management, Arts, Psychology, Archaeology, Classics, History, Linguistics and Languages, Law and Politics, Literature, Philosophy, Religion. It provides an academic platform for professionals and researchers to contribute innovative work in the field. The journal carries original and full-length articles that reflect the latest research and developments in both theoretical and practical aspects of society and human behaviors. The journal is published in both print and online versions. The online version is free access and download. 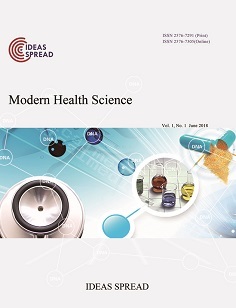 Modern Health Science (MHS) is an international, double-blind peer-reviewed, open-access journal, published by IDEAS SPREAD INC. It publishes original research, applied, and educational articles in all areas of health science. It provides an academic platform for professionals and researchers to contribute innovative work in the field. 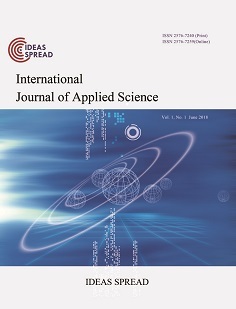 International Journal of Applied Science (IJAS) is an international, double-blind peer-reviewed, open-access journal, published by IDEAS SPREAD INC. It publishes original research, applied, and educational articles in all areas of applied science. It provides an academic platform for professionals and researchers to contribute innovative work in the field. Authors are encouraged to submit complete, unpublished, original works that are not under review in any other journals. The scopes of the journal include, but are not limited to, the following fields: Agriculture, Biological Engineering and Application, Applied Mathematics and Statistics, Applied Physics and Engineering, Applied Chemistry and Materials Sciences, Civil Engineering and Architecture, Computer and Information Sciences and Application, Energy, Environmental Science and Engineering, Mechanics, Metrology, Military Science, Space Science, Sports Science, Ergonomics, Health Sciences, Fisheries science, Food Science, Forestry and all the fields related to applied science.